Industrial operator panels also known as control panels are devices that control other electronical devices using convenient and intuitive touch interface. Thanks to its robust design, these devices are suitable for use even in harsh environments. Model 670H has a IP65 standard which classifies and rates the degree of protection provided against intrusion (body parts such as hands and fingers), dust, accidental contact, and water by mechanical casings and electrical enclosures. Check "Available versions" tab to see available configurations of this device. To get more information about this product click "Ask about the product" or use the Contact form. HMI is equipped with an operating system from Windows CE family, which ensures maximum efficiency of the device and easily copes with multiple processes simultaneously. Convenient interface makes the operator panels as much intuitive as possible. 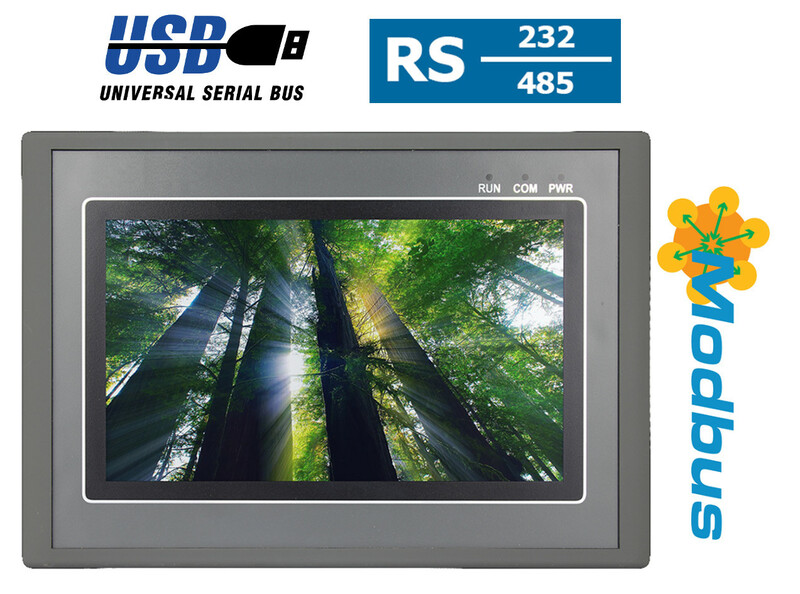 An important advantage of the HMI 670H is a powerful combination of small size with considerable capabilities through the use of the processor family ARM Cortex 8 with 720MHz clock speed, which, combined with 128MB of RAM gives us a powerful, multi-purpose, quality device for a low price. 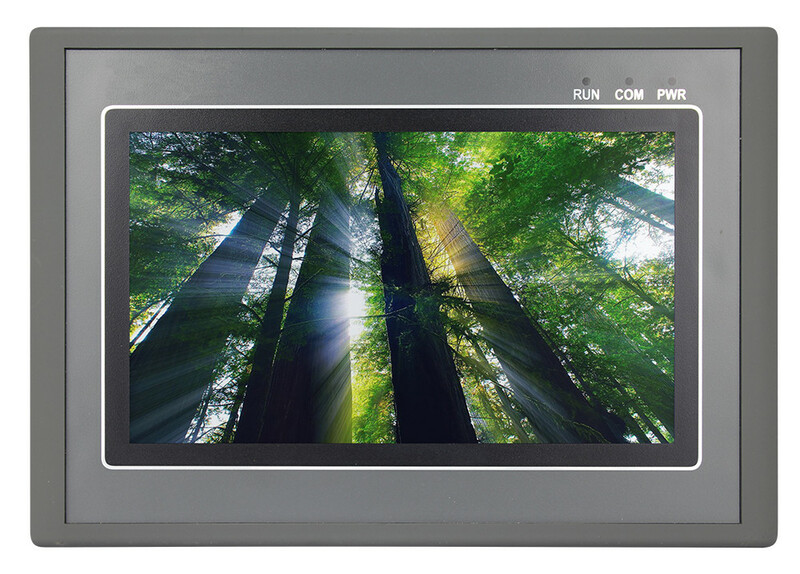 HMI 670H is equipped with a 7 inch (154mm x 87mm) screen and the overall size of its design is only 212mm x 148mm x 40mm, with a cutout size of 194mm x 138mm and its weight is only 540 grams. With such a small size it can be used in even if there is not much available space. In addition, HMI has the possiblility to mount it on a wall for the greatest convenience and ease of access. HMI enclosure is made from a specialized blend of PC / ABS (polycarbonate / acrylonitrile-butadiene-styrene) providing a very high resistance to mechanical damage. With this construction it is ready for use even in extreme conditions such as heat, cold or vibration at any time. In addition, the front panel of the device has IP65 international standard, which confirms the water resistance and a complete protection against dust. Using the latest technology, HMI 670H is designed for continuous operation with low power consumption of less than 3W at 24V. IP stands for Ingress Protection and is essentially a rating system developed by the International Electrotechnical Commission or the IEC. The system is now being used to classify different degrees of protection against intrusion or immersion. The IP rating is usually followed by two digits. The first indicates the level of dust-resistance, the second water resistance. Dust-resistance levels goes from 0 up to 6 while water-resistance goes from 0 to 8. Select a version tailored to your needs. Clicking on the hardware number configurations will redirect you to the product with parameters listed below. At the customer's request can be created configurations which are not available in the offer. Detailed parameters are available in the "Technical Data". Modbus is a serial communications protocol initially for use with programmable logic controllers (PLCs). 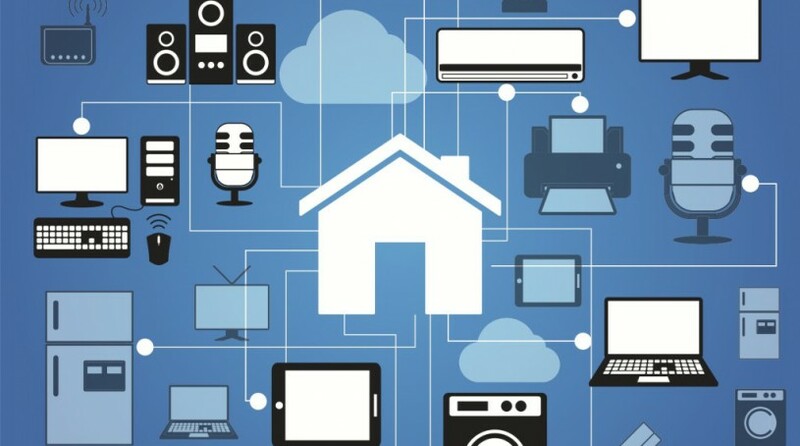 Simple and robust, it has since become a standard communication protocol, and it is now a commonly available means of connecting industrial electronic devices. 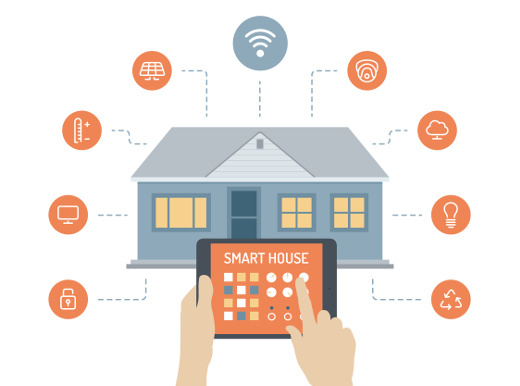 Modbus enables communication among many devices connected to the same network, for example a system that measures temperature and humidity and communicates the results to a computer. 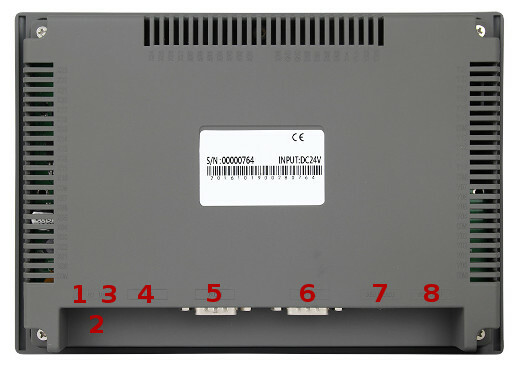 Modbus is often used to connect a supervisory computer with a remote terminal unit (RTU) in supervisory control and data acquisition (SCADA) systems. PLC is a universal microprocessor device designed to control the operation of the machine or technological equipment. PLC must be adapted to the HMI device by introducing into its memory the desired algorithm for operation of the plant. A characteristic feature of the PLC controller distinguishes this from other drivers computer is cyclic circulation of program memory. The algorithm is stored in a dedicated controller programming language. You can change the algorithm by changing the contents of program memory. The driver provided with a suitable number of input circuits gathering information on the object status and requests service and the appropriate number and type of output devices connected to the actuators, signaling or data. PLC is not included in the standard equipment - it must be purchased separately. Thanks to its transparent and intuitive touch interface, the HMI device can be easily adapted to the Smart Home, this solution allows you to control functions such as music, heating and air conditioning, from one place. The ideal device for people who like to have everything at your fingertips. 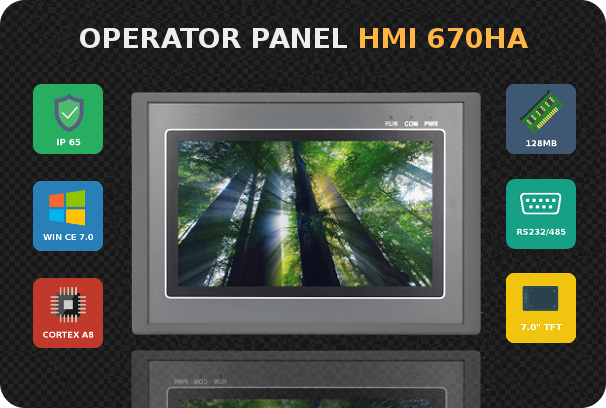 Industrial HMI operator panel can be used to connect multiple devices in the warehouse and make them easier to control. And its robust design is perfectly designed for the harsh conditions prevailing in these areas. Dust or dirt will not prevent this device from working, it will work flawlessly even in polluted environments. Thanks to the ease with which the operator panel HMI can be customized for specific tasks, it's widely used escpecially in industry. Thanks to its functionality and mediation between machines and man, HMI is the center management processes, giving you the ability to control devices and to respond to specific situations. You can find more photos of this device in Gallery. Specification of the given version is available in the Technical data tab.